In the small town of 2,000 that I grew up in, church was typically not a choice — everyone went to church. Except for my family: my parents were uninterested in church, so my Nana brought it upon herself to make sure I was there. Growing up in the church, I had so many questions — about God, about call, and about everything in between. I have the distinct memory of sitting in the front pew in elementary school, listening to the pastor and knowing that I would one day work in the church. I could feel God in my heart telling me that was the work I was called to do. But here’s the catch — the church I grew up in did not allow some of the questions that I had. So, when I was in 5th grade, I decided that if the church would not answer my questions, then it wasn’t the place for me. I left and started to dabble in other religions….but I never felt full. My heart was heavy and angry. I still had so many questions about life and religion and God. I began attending my boyfriend’s church in high school, because in a small town, that’s what you did on a Friday night! Soon after I began attending his church, I was involved in a car accident. My dad was driving, my mom was in the passenger seat and I was in the back. I was the only one that made it out of our car alive. Sitting in that car I felt God. I felt God in the people that took care of me, in the fear that I felt for the other car and later in the forgiveness that God helped me give to the man that had caused the accident. This was the turning point in my life. My sister and I were taken in by my aunt and uncle, who I now call my parents. They are amazing people and I will never be able to thank them for the life they have given me. After the accident I became hungry for God’s word. I began to read my Bible, participate in devotions and started to attend all sorts of youth events. The first summer after my parents passed, I went to a camp, Lake Louise. I learned about worship songs, Christian fellowship and the warmth that God brings to people’s lives. I was so enamored that I came back the next summer. It was then I met a wonderful leader that has since been one of my strongest mentors. She saw a hurt, broken teenage girl and didn’t let me just go home when the summer ended. She kept in touch with me and encouraged me. In my junior year of high school, I found out she was the pastor at the Wesley Foundation of a university that I had been considering. I knew that was where I needed to go. She was the first person that answered my questions and showed me that women could be pastors. Throughout college I met many wonderful women who helped point me on the path that I am on now. Each one of them encouraged me, showed me tough love when needed, and was a shoulder for me to cry on. I became a missionary, pursued a calling into youth ministry, and am currently pursuing my calling out of youth ministry and to seminary. The women ministers God has placed in my life have shown me who I am and what I am called to do. 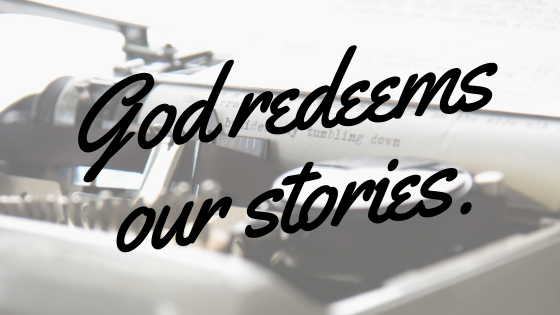 My story has redemption, and so does my call. Victoria Stanford is the youth director at Avondale UMC and a former US-2 missionary.